When dreaming of our business, we wanted to create an experience where people could shop without any hurry or hassle. We committed to supporting artists and producers near and far fairly and equitably. We searched for a name that would reflect our unique collection of goods. We chose Salmagundi, which means hodge-podge, potpourri, or eclectic mixture, but sounds much cooler. 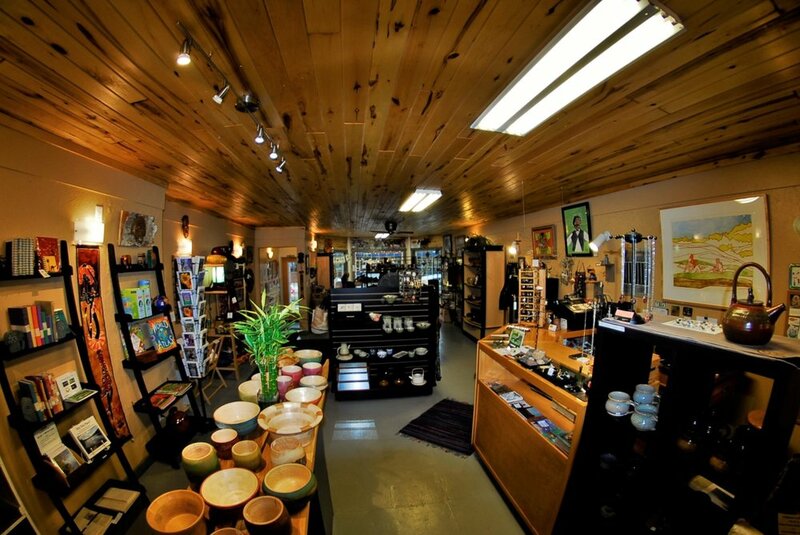 Our shop opened on Main Street in Ashland, Wisconsin in November 2014. We offer a wide range of fair trade goods and feature the work of local artists both in monthly shows and ongoing product lines. We are now offering a selection of our fair trade goods online. When you can get to the store, you are always welcome. When you can't, let us serve you here.